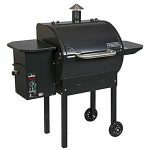 If you’ve just gone out and bought a brand new charcoal smoker or grill, you’ll probably be asking yourself: What is the best type of charcoal to use with it? You’ve got two options. 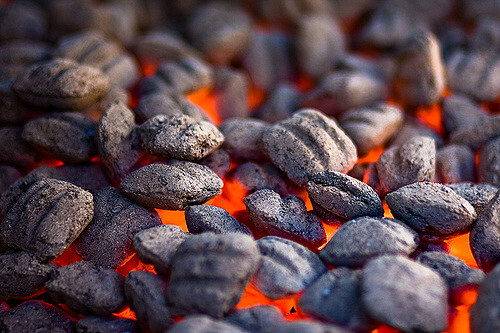 Lump charcoal or charcoal briquettes. After years and years of barbecuing there still isn’t a definitive answer, instead it comes down to what you want out of your charcoal. 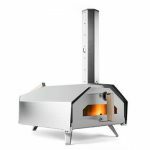 We’ll go through the differences between lump charcoal and briquettes, the pros and cons of each and try to finally answer whether lump charcoal or briquettes are better, whilst also giving you the best charcoal of each. 1.3 What we prefer – Lump Charcoal or Briquettes? 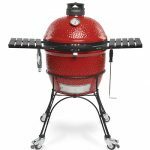 1.4 The Simple Answer – Lump Charcoal or Briquettes? 1.5 What is the Best Lump Charcoal? 1.6 What are the Best Charcoal Briquettes? Lump charcoal is the traditional charcoal that you think of when you hear the word charcoal. It’s made by burning pieces of hardwood at very high heats with very little oxygen. This draws out all of the moisture and sap from the wood and leaves a charred shell of carbon. Lump charcoal tends to burn hotter and quicker than briquettes and as there are no fillers in lump charcoal you’ll get a cleaner burn with a lot less ash. Burns hotter to allow you to be able to sear steaks easily. Doesn’t contain fillers or chemicals. Produces small amounts of ash. Generally quite light to allow easy manipulation and movement when in your grill or smoker. 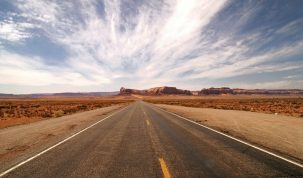 Quicker response to changes in air flow for better control of the temperature. 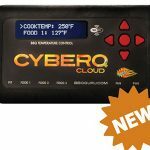 Produces more smoke which gives food (especially if used in a smoker) a great smoky flavor. Less consistent that briquettes as the bags usually contain random sized chunks of charcoal. This can mean that your fires will take more tending to keep them consistent. Burns quicker, meaning that you’re likely to get through lump charcoal quicker than you would the same amount of briquettes. Usually more expensive than briquettes. Briquettes are made from pulverized left-over charcoal. This is usually crushed down into dust and then bound together with binders such as cornstarch and other fillers, depending on which brand you buy. This is how and why they’re so consistent in shape and size. This composition of charcoal dust and fillers mean that they are very steady and consistent burners. They’re not able to reach the high heats that lump charcoal can reach though. Briquettes also contain other flavor enhances and can contain bits of wood chip or other wood that might have been used during the manufacturing process. Another thing that may be added to briquettes is lighter fluid and other chemicals to help the briquettes burn. This will definitely help you start your fire easier but is likely to taint the taste of your food. The chemicals and lighter fluid won’t harm you and they’re not poisonous but are sometimes very noticeable when it comes to eating what you’ve cooked. If you’re having trouble lighting your fire we recommend picking up a chimney starter rather than ever using lighter fluid. Read though our guide to using a chimney starter for all the information you need to know about lighting your coals. Due to the consistency of Briquettes, they are able to maintain a consistent temperature for longer periods of time. The shapes and sizes of the briquettes are usually very even. This means that you’ll have to spend less time tending to the fire. The added chemicals can taint the taste of your food. 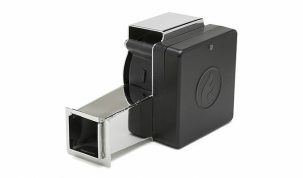 More difficult to control temperature with air flow. Won’t reach the same high temperatures that lump charcoal does. Doesn’t have as good of a smoky flavor due to less smoke being produced. 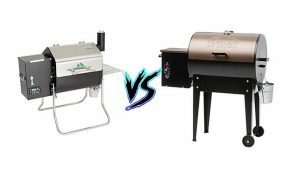 What we prefer – Lump Charcoal or Briquettes? We always used to use briquettes because that’s just what we though you used when grilling. The more we got into BBQ and the more seriously we took it the more we realised that lump charcoal might be a better alternative for us. It takes a little more work to get right and you’ll generally have to be tending to the fire for most of the time it’s alight, but we enjoy that. That is part of the fun. Not only this, but you get a better quality cook from lump charcoal as it’s all natural and burn really well. Not having to clean up piles of ash is a nice benefit as well. If you don’t believe us, the guys over at The Grillin’ Fools think so too, which you can find here. 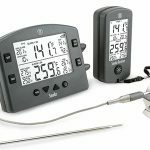 If you’re thinking of using lump charcoal for the first time, or really want to make sure you do it right then we recommend picking up a digital meat thermometer. When you open a bag of lump charcoal, you’ll likely see a huge variation in sizes of the lumps. This can make your cook very inconsistent. 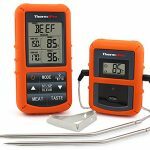 The best way to stabilize the consistency of your cook is to keep a close eye on the temperatures, and the best way to keep a close eye on your temperatures is with a digital thermometer. If you know the temperatures you can open and close vents on your grill or add more lumps to the fire to keep the heat as stable as possible. Briquettes might be for you though. If you’re not overly worried about the finer aspects of the taste and are looking for the easier option, then by all means go buy some briquettes. They will make your life much easier and you’ll still get a good meal of it at the end. You could even try to combine the two in a single fire. This way you’ll get the benefits of lump charcoal with fewer of the drawbacks. Or you could create a fire of two halves, one side with the higher temperature lump charcoal and one side with the more consistent briquettes. This way you have the ability to sear steaks and also cook chicken thoroughly. Whatever you decide to buy, the best advice we can give is to get some quality charcoal and if you’re smoking with it get some quality wood to enhance the flavor. 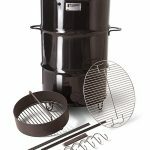 The Simple Answer – Lump Charcoal or Briquettes? What is the Best Lump Charcoal? There are many, many brands of lump charcoal out there. We recommend trying to find restaurant grade lump charcoal. This tends to be the most consistent lump charcoal available, it’ll be more expensive but, like with most things, you get what you pay for. The Naked Whiz have an amazingly detailed database of pretty much all the brands of lump charcoal. 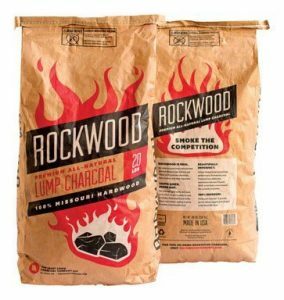 They rate Rockwood Lump Charcoal as their number one. We’ve use it and definitely agree that it’s good. 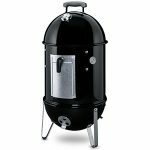 The sizes are more consistent than some of the cheaper brands, the charcoal burns well, leaves barely any ash and produces a nice smoke. 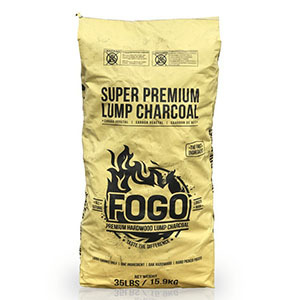 You can’t go wrong with Rockwood Lump Charcoal but we’ve found that our favorite is Fogo Lump Charcoal. It’s a premium hardwood lump charcoal that is restaurant quality and produces a great hardwood smoked flavor. It burns well, reaching very high temperatures and lasts for quite a while. There’s barely any ash produced and the smoke is the best we’ve tried. We use this on our Weber Smokey Mountain and is our go to lump charcoal. We also love the ease of being able to buy it online and it’s available on Amazon. What are the Best Charcoal Briquettes? Like lump charcoal there are many brands of charcoal briquettes. We recommend using as natural a briquette as possible, ideally with no lighting fluid. Kingsford have a great reputation for brilliant charcoal. 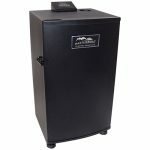 They are recommended as the best charcoal brand for the Pit Barrel Cooker and always produce great charcoal. Their charcoal briquettes are long lasting, consistently burning briquettes that have extra grooves for additional surface area. 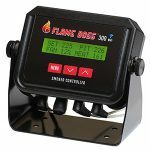 This additional surface area means lighting is a lot easier and helps them maintain a stable and reliable burn. 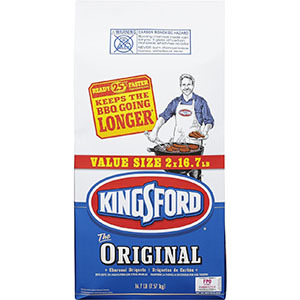 Kingsford briquettes are definitely one of the best charcoal briquettes you can buy. We hope that’s enough information to give you a better understanding of the differences between lump charcoal and briquettes, and to be able to find the best charcoal for you.